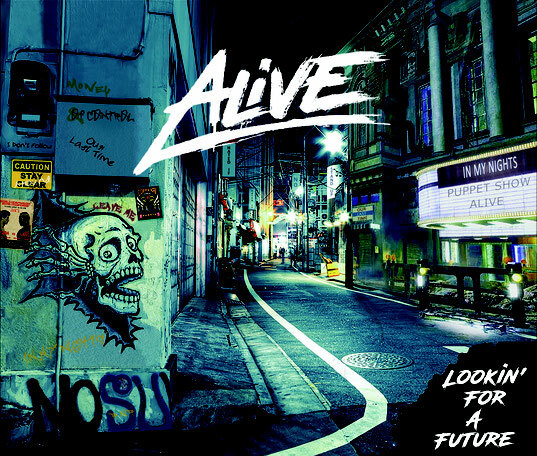 Next March 29 will be released via Volcano Records & Promotion "Lookin' For A Future", the new album by Alive. An album that wants to project the hard rock tradition in modern times, and it does so by addressing current issues with sounds derived from the most flourishing decades of rock. The references to the dear 80s hard rock are evident but the whole is reformulated with personality and is played with an excellent balance between technique and melody. Ten tracks of pure hard rock in the wake of bands like Van Halen, Extreme and Mr. Big; an album aimed at all the nostalgic of rock in search of something new, a possible new alternative to the continuous replay of the great classics of the last century.